Model: Huawei released a variety of good smartphones both under its name and under the Honor brand. One of it is the Honor 8 Pro. Huawei delivers the Honor 8 Pro in a box that converts into a cardboard-style VR headset. The whole set is quite easy to assemble, but there are also directions if the user is struggling with the do-it-yourself part. The 8 Pro takes a lot of its design cues from last year's Honor 8 - which shouldn't come as a surprise, given the name. It features rounded corners, a gorgeous glass finish up front that catches the light, and slim dimensions. Around the back, though, the matching glass is gone. Instead, there is a brushed metal finish, again in an eye-catching blue hue. Metal probably makes it less prone to shattering which could be handy for rough users. The all-metal chassis feels firm, with no evidence of bend or flex when squeezed. It feels premium to the touch. At 6.93 mm, it is actually thinner than an iPhone 7 Plus. Huawei has a fingerprint sensor that the company implements on every new device. The scanner works splendidly for all the phone, app and payment security needed. The headphone jack, single speaker and USB-C port are all found on the bottom of the phone, keeping line breaks and distractions to a minimum at the top and sides. The Honor 8 Pro’s dual camera has two 12 MP sensors, and it performs as good as the smaller sibling’s - the Honor 8. The difference that comes with being new and having a more powerful chipset is that the Pro device can record videos in 4K. The front snapper is 8 MP with f/2.0 lens for all the selfie enthusiasts. Huawei gives all it has to the Honor 8 Pro regarding performance. The chipset is the Kirin 960, which is the company’s most powerful SoC to date. It comes with an octa-core CPU and 6 GB of RAM, while the 64 GB storage is expandable via a microSD card that occupies the second SIM slot. This means the user can't have both dual SIM and extra memory. As for the display, a 5.7-inch screen leaves lots of room for pixels, and Honor has delivered the 8 Pro with a 2560 x 1440 resolution panel, the first one in a Honor phone. There's plenty of detail for photos and videos, with more than enough brightness to see what's on screen clearly when users are out enjoying the sun. For the operating system, inspired by the white and blue of the Aegean, the EMUI 5.1 delivers a bright, clean and seamless user experience, with 90 % of the phone features 3 clicks away at most. The Honor 8 Pro also constantly learns from the user’s behaviors and habits, meaning it will always be one step ahead. 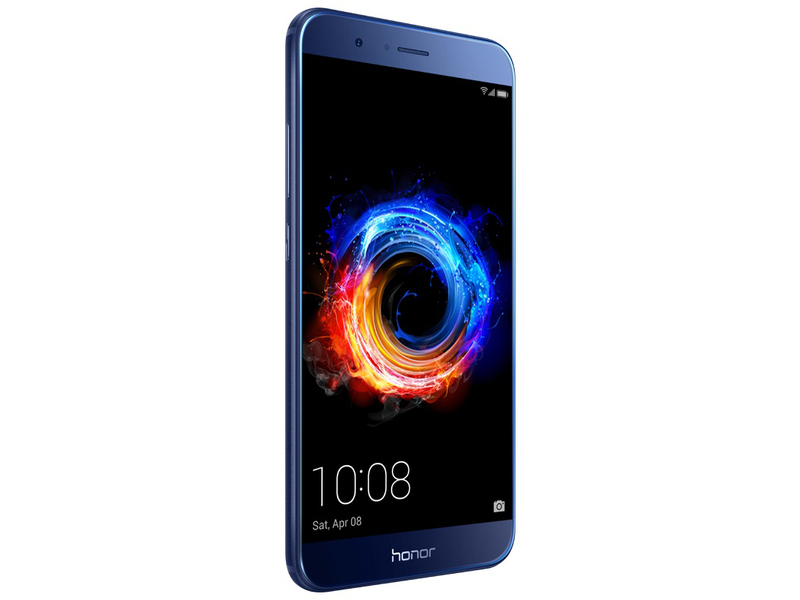 The Honor 8 Pro is pretty much a smartphone for those who don't want to spend the extra buck on a Huawei P9 or even a P10. In many ways it is better than the smaller sibling of the P10 - the P10 lite.